Back to Aarhus and the constant problem we have in the UK making sure that the cost of planning and environmental litigation is not prohibitively expensive. Article 9 of the Aarhus Convention (to which the EU has subscribed) says that members of the public should be able to challenge environmental decisions, and the procedures for doing so shall be adequate and effective and “not prohibitively expensive”. If this means nothing to you, you might want to limber up with my bluffers guide to Aarhus – here -not least on how to pronounce it and how it fits into domestic law. Ms Venn wanted to stop the owner of land next door to her London property “garden-grabbing”, namely building another dwelling in his garden. The local authority had refused permission, the landowner successfully appealed to a planning inspector, and on further review, Ms Venn said that the inspector had failed to have regard to emerging planning policy in determining the appeal against her. Lang J gave Ms Venn a protective costs order (PCO), limiting her costs exposure to £3,500 if she lost. The CA reversed this. As ever, the devil is in the detail. Had her appeal been by way of judicial review, she would have got an order in her favour. So why didn’t she? Ironically, Ms Venn’s problem was that she had the benefit of a statutory appeal against the inspector’s decision (under section 288 of the Town and Country Planning Act 1990), albeit running on judicial review lines. The Government has sensibly aligned the rules about timing and permission between a s.288 appeal and a judicial review which may concern planning issues – but has not made the costs rules the same to each. Cynics might say that is because the requirement for permission in s.288 appeals makes such appeals slightly more difficult to bring, whereas facilitating cases by making them a bit more affordable is not part of the governmental agenda – passim on this blog (as we lawyers say when we feel like a bit of Latin coming on). First, a bit of revision on the costs rules for an environmental judicial review. In CPR 45.41 to 45.44 & Practice Direction 45, someone who brings a judicial review “all or part of which is subject to the provisions” of the Aarhus Convention may not be ordered to pay costs exceeding £5,000 for individuals and £10,000 for others. Ms Venn’s problem was that her challenge (substantively identical to a judicial review) was not in fact a judicial review. So she could not take advantage of these provisions, as she conceded. But she said the court should exercise its inherent jurisdiction to make a PCO on the basis that the case involved an environmental challenge within Article 9(3) Aarhus. The judge had concluded that the claim fell in principle within Article 9(3) Aarhus, and further that a PCO should be made. 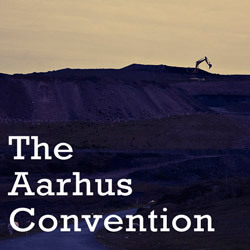 The SoS accepted that since administrative matters likely to affect “the state of the land” are classed as “environmental” under Aarhus the definition of “environmental” in the Convention is arguably broad enough to catch most, if not all, planning matters, as the judge had concluded. This was supported by the decision of the CJEU in the Brown Bear case  QB 606. While the provisions of Article 9(3) are not directly enforceable, they are intended to ensure effective environmental protection. Hence, when EU issues arose, it was “inconceivable” that article 9(3) be interpreted in such a way as to make it in practice impossible or excessively difficult to exercise rights conferred by European Union law. The SoS took a more “ingenious” point in response, as the CA termed it. Ms Venn was challenging a failure to observe an emerging policy, it was said, and this was not a contravention of a provision of national law. True, the planning acts require inspectors to take into account all material considerations, but a breach of that requirement was not a breach of a law relating to the environment. Ms Venn ran into trouble on the next hurdle. To get her PCO, she needed to show that the exercise to grant it should be in accordance with established principles laid down by such cases as Corner House. Her barrister said that the new costs rules removed the underlying premise upon which the CA has previously applied Corner House in environmental cases such as Buglife and Morgan (one of mine). But the SoS riposted that the implementation of the new costs rules was in deliberately narrow form, and it was not a proper exercise of judicial discretion to side-step such a legislative intention. Sullivan LJ found the arguments finely balanced, but preferred those of the SoS. He thought there were two legislative sidesteps required to get to Ms Venn’s position, those at domestic law and the EU decision (or lack of it) not to make Aarhus directly effect at EU law in circumstances other than when specified in directives about environmental assessment and industrial emissions. Neither jink was justified. into account in the formulation of a costs regime that is Aarhus compliant. So two can play the “we are thinking about it” game. If the Government do nothing about the anomaly, I am sure that the European Commission will be hearing sharpish that there was a deliberate decision by Government not to follow the steer from the CA that the current system was non-compliant. The CJEU on “prohibitively expensive” and the new protective costs order regime. Why can’t objectors appeal a planning consent or environmental permit?